This 1 day work-shop is part of a range of Professional and Management courses including Project Management, Negotiation Skills and Time Management. This one day workshop is for everyone who has to make their point and be heard by colleagues, customers and senior stake-holders. The day covers the essentials of effective presenting from structure to body-language and does not rely on technology (such as PowerPoint). Past participants include Change Managers, Programme Officers, PMO Analysts, Consultants and Co-ordinators. Content is suitable for many departments including Sales, Marketing, Training, HR. This is a hands-on event and includes the opportunity to create and deliver a short presentation and receive feedback. 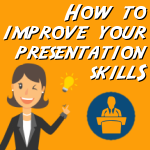 You may also wish to consider one of our advanced PowerPoint courses London or raise your presentation game by attending our advanced presentation skills London course. I really enjoyed this course. Going in I was quite skeptical but found it the most useful. I really got on with both teacher and other candidates and it made a really enjoyable full day of learning. It wasn't just sat behind a desk writing notes. We were up talking, discussing and brainstorming ideas. Sarah was super helpful in fulfilling my own goals and assisting me. Very useful course, good practical element, useful tips. Very satisfied with the training course and the way in which it was delivered. Andrew is a very competent trainer and was very encouraging. I thoroughly enjoyed this course. Below are some extracts from our Presentation Skills manual. The method can be simple; observation, careful note-taking, and asking questions work. Observe other workers doing the tasks. Compare results with the performance of experts. Make sure to validate your finalized content before you move on to editing. A training presentation may use any combination of delivery methods as long as the net result is to achieve learning outcomes -- and consider organizational requirements and constraints. The four-step process below will help you select the best training delivery options to meet your training needs. Identify the organisational, presenter, facility, and resource parameters and their impact on the delivery options. · Use effects, transitions animation and sound very sparingly. · Use colours that work well together, such as yellow or white on a dark blue background. · Check the readability and visibility of your fonts and colour choices with the lighting in the room in which you will present. Hearing is the act of perceiving sound by the ear. Assuming an individual is not hearing-impaired, hearing simply happens. Listening, however, is something that one consciously chooses to do. Listening requires concentration so that the brain processes meaning from words and sentences. Listening leads to learning. This is not always an easy task. The normal adult rate of speech is 100-150 words per minute, but the brain can think at a rate of 400-500 words per minute, leaving extra time for daydreaming, or anticipating the speaker’s or the recipient’s next words. Three types of questions are useful in a presentation; closed questions, clarifying questions, and open questions. · Describe the style of the leader of the meeting. · How do you open the emergency exit door on this aircraft? In addition to selecting the right type of question, there are two additional skills that aid the presenter during the questioning process. · What sort of savings are you looking to achieve? · Who will lead the meeting? · Do you know how to open the emergency exit door on this aircraft? · Honest and relevant, directing participants to logical answers. Information written on flip charts enhances the learning process. During a presentation, the use of flip charts serves to inform participants, record information, and focus attention on a topic. They represent a simple, low-cost learning aid -- with no requirements for power or technology, and no worries about burned-out bulbs or darkened rooms. Flip charts add versatility to a presentation and allow the presenter to use creativity to enhance the learning process. At a minimum, you will need a flip chart easel, several pads of flip chart paper, a few sets of coloured markers, and masking tape for posting the results of exercises. Also handy are several packages of sticky notes to flag specific pages, and a straight edge. If you plan to cover up information that you will reveal at a given time during the presentation, then have some pre-cut paper available, sized appropriately for the text. If you are bringing pre-written charts to an off-site presentation, you will also need some type of container to protect the pages. There are many good reasons to pre-write your flipchart content. You are in control of the material for your presentation – design, organization, and appearance. This also helps reduce nervousness. Your material has a specific “look and feel” that is not necessarily easy to achieve when prepared during a session. 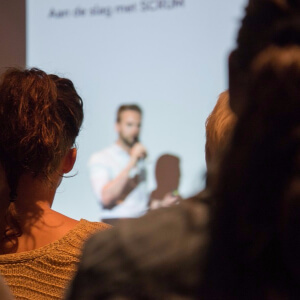 With your charts ready ahead of the presentation, the time during a presentation is used for learning activities, not writing, which keeps your back to the participants. · If you are using charts in a sequence, number them. Good use of colour can make the difference in the dynamics of a presentation -- and participants’ acceptance of the content. Conversely, the effect of a great chart can suffer from the poor use of colour. According to the Optical Society of America, blue, black and green offer the greatest visibility, and blue is the most pleasing colour. Avoid purple, brown, pink and yellow for any type of general printing. The use of two or three colour combinations can be very effective. Here are several rules. When creating your charts, take some time to think about the colours you are using, and how they can enhance the understanding of your topic.